IEC 60320 C14 plug to IEC 60320 C19 socket. 2 meters long in black. 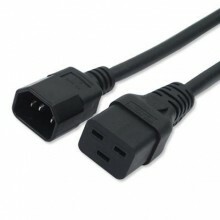 Click the button below to add the 2M - Power cord - C19 IEC - C14 IEC - Black to your wish list.